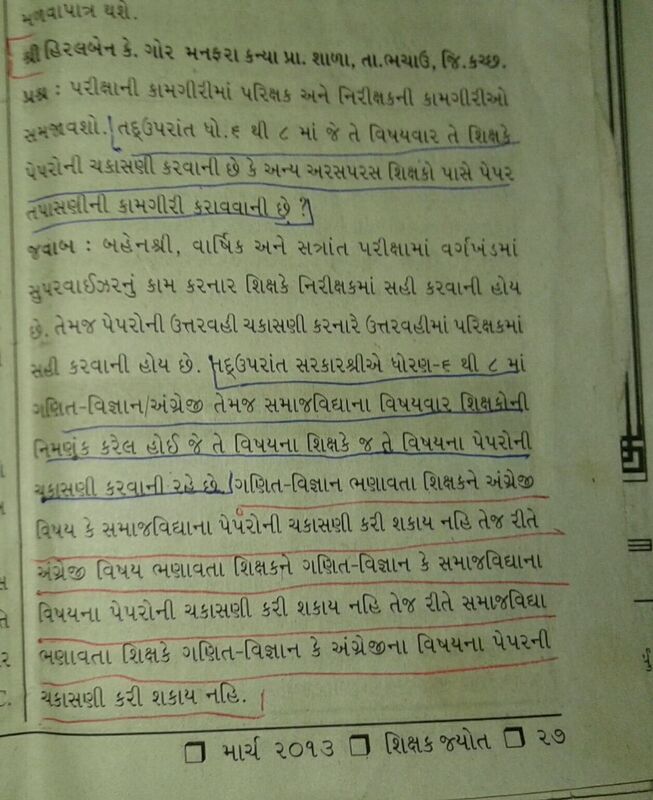 EXAM MA PAPER NI CHAKASANI MATE MARG DARSHAN BABAT SHIKSHAK JYOT CUTTING MARCH 2013. Previous articleHTAT KE ANYA AACHARYA NE PAPER JOVA NA? SHIXAK JYOT CUTTING MAY-2016.